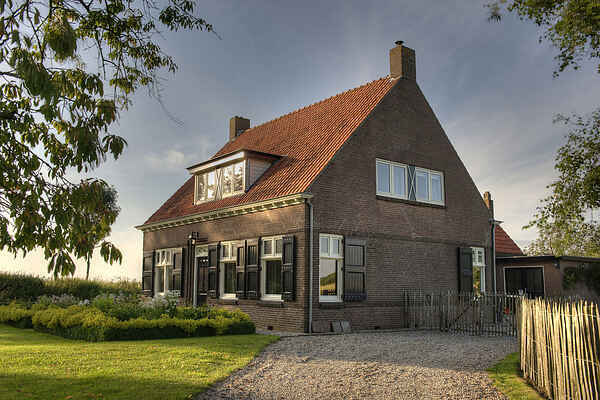 Between Zeeland villages Ijzendijke and Schoondijke, is situated in the polder this comfortable country style cottage. In this place you can fully enjoy peace and quiet! The farm is a large garden with fenced pond and play area of \u200b\u200b3000m2. In the fenced play area is the trampoline and playhouse with swing, slide and sandpit. Here children can play freely. In the lockable bike storage room with outlet to recharge electric bikes. For a beach this place is a great base. The beach of Breskens is just 7 km away. The area is also perfect for making hiking and cycling. Pay a visit to the picturesque fortress town of Sluis. Here you will find a wide variety of shops, attractive restaurants and terraces. The Belgian cities of Bruges and Ghent and the Belgian coastal town of Knokke are worth a visit.